Posted on November 2, 2015 at 5:59 pm. Phil Hessler has an immense amount experience as both a content creator and competitive snowboarder. Phil is the co-director of the AFS 2015 documentary, Far From Home that is currently being showcased in Namibia. Make sure to follow us on Facebook, Instagram, and Twitter for the latest updates. One of my most vivid memories of sitting in a movie theatre must’ve been when I was about 11 years old. The second Harry Potter movie had just come out and I remember being in the theatre with the majority of my extended family… cousins, aunts & uncles, grandma thrown in the mix too. I remember it being such a magical experience because of how we were all able to share the film together. Movies bring people together. What I love most about being a filmmaker is that filmmaking is totally up to your judgment, interpretation, and process as to how you tell a story. It’s your style of filmmaking that you are showcasing to an audience. Two filmmakers can make a movie about the same story can easily create two entirely different films. It is a very intuitive process and you can feel when things are going well and when things are going wrong. At the same time it’s also very collaborative and having different viewpoints on a story can bring the best film to life if you are able to work well together. There is no rulebook that says this is exactly how things need to be done. It’s an artistic process. Creative slumps are the worst! When you get stuck on a story point or can’t figure out how a transition works in the edit room. But at the same time that’s how you improve as a filmmaker. Working through those tough moments to bring out the best story possible. Growing up I always wanted to be a professional skateboarder or snowboarder. In a way, there are similarities to filmmaking because the tricks you do on different obstacles are your own interpretation of your surroundings. You are showcasing your style in your trick selection. Both those sports are heavily based upon producing content on yourself that showcases your talents. That’s how I got into filmmaking and from there it just snowballed. Filmmaking opened up a world that was so much bigger than the niches of snowboarding and skateboarding that I lived in. Art of Flight by Brain Farm Cinema absolutely revolutionized the action sports filmmaking world. The production value is second to none and I looked to up to those guys my whole life growing up in snowboarding. KIDS and The Basketball Diaries are two of my favorite features. I love the raw emotion captured in those films. They’re both gritty and dark and dive deep into the underworld of youth culture. I also got to say Good Will Hunting is up there. As amazing as the film is, I also love the story behind what it took for Matt and Ben to get the film made. I mean they wrote the script in high school, Matt dropped out of Harvard and put it all into getting that film made. If I weren’t a filmmaker, I would probably be seeing how far I could go as a snowboarder. Chasing snow around the world and trying to figure out how to get paid to snowboard ha! When I just started college I thought about going into investment banking, seemed like a safe path. Thankfully those aspirations didn’t last very long and I opted for a much more creative route. I still love economics though. Far From Home for sure! It’s the first feature that I produced and we started working on it when we were 19 years old. It took three years to fully finish the process — from development to successfully distributing the film. It’s been a crash course in documentary filmmaking and I learned more in those three years than all previous 18. 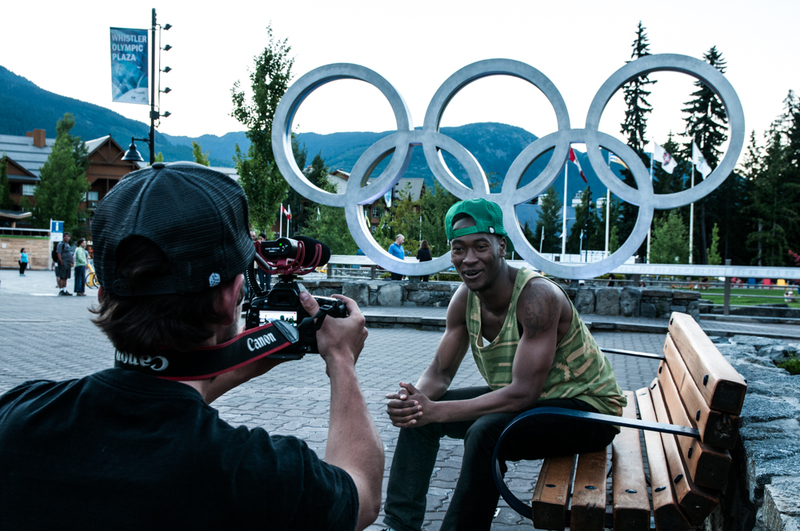 Oh and the film is about my adopted brother from Uganda who is attempting to be the first African to snowboard in the Olympics in 2018. We’re working on a script for the feature now!